Though our ancient ancestors had a deep spiritual connection to the natural world, most modern humans have lost that connection, resulting in ever-increasing ecological assaults on our planet. As environmental quality continues to worsen, we must find a way to spiritually reconnect with Mother Earth--before it is too late. "Ecospiritualism" is a form of spirituality that embraces, and takes responsibility for, the natural world we live in. One of the most practical, enjoyable, and simple ways of reclaiming our ecospiritual connection with Mother Earth is journeying with the spirits of animals just as our ancestors did thousands of years ago. Animals, most intimately connect with Mother Earth, are the perfect guides to the ancient wisdom we have lost. Mole, eagle, badger, wolf, bear, mountain lion--each animal has its place on the sacred medicine wheel; each has knowledge vital to the future of our Earth and to rediscovering our rightful place in it. 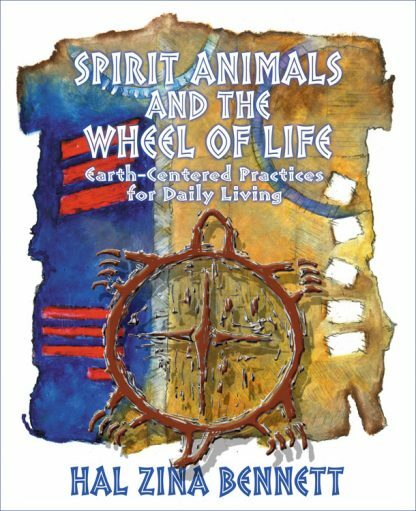 In Spirit Animals, author Hal Zina Bennett offers an accessible form of "spiritual orienteering" in which personal power animals are the guides and teachers, and shamanism is the means by which we work with and learn from them. Hal's highly acclaimed work includes countless articles and more than 30 successful books, including Spirit Circle, White Mountain Blues, Write From the Heart, Spirit Animals & the Wheel of Life, The Lens of Perception, Zuni Fetishes, The Well Body Book, Follow Your Bliss, with Susan J. Sparrow, and The Holotropic Mind with Stanislav Grof, M.D.. Hal's interest in creativity, human consciousness, metaphysics, and the ancient wisdom traditions began as a teenager, following a coma and near-death experience that left him temporarily blind, during which time he was initiated into the reality of the inner world.